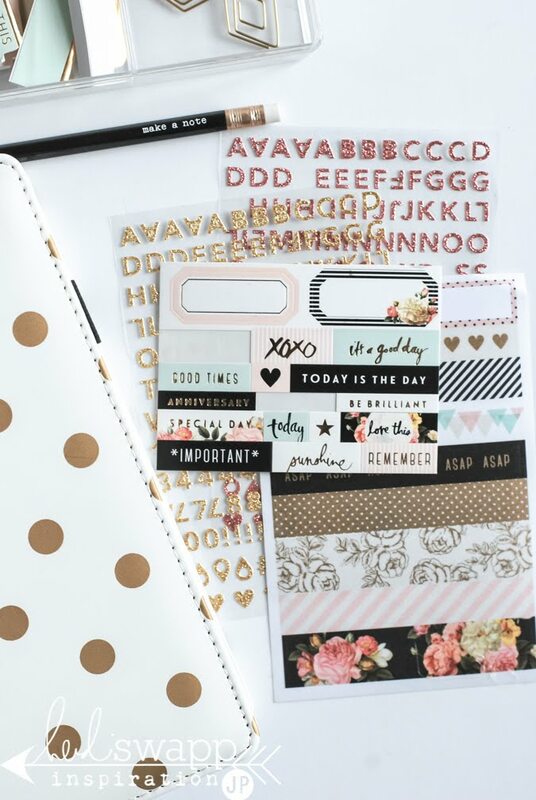 I was a planner girl way, way back in the day before planners were cool. And the love has only been re-fueled. 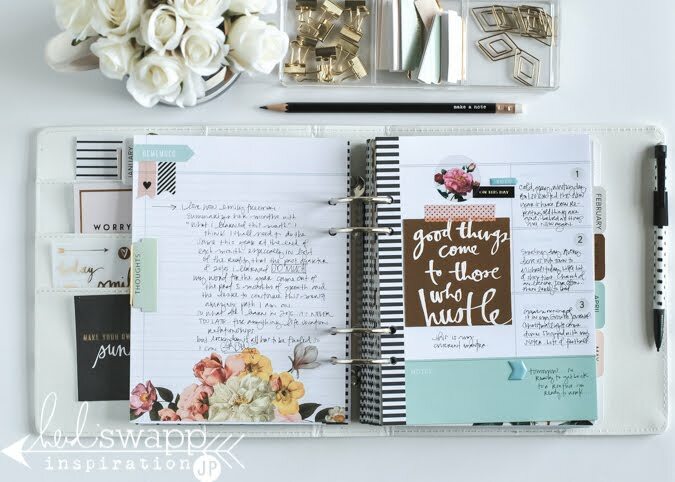 This is the third year of the Memory Planner as designed by Heidi Swapp...and it is just, as the name implies...Hello Gorgeous!!! 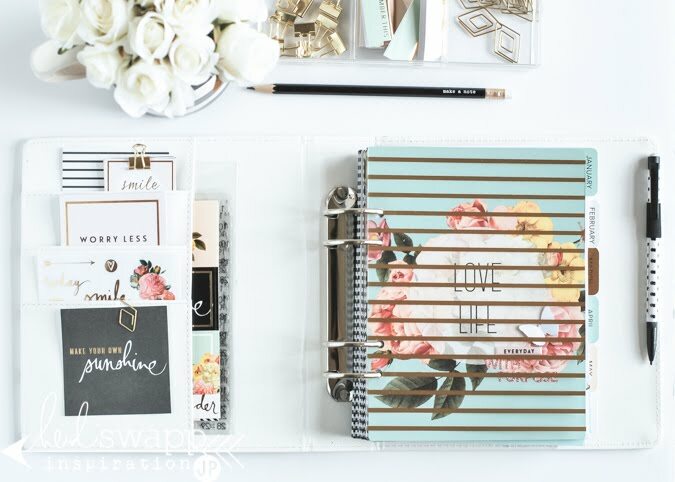 The planner and collection is as beautiful as ever. 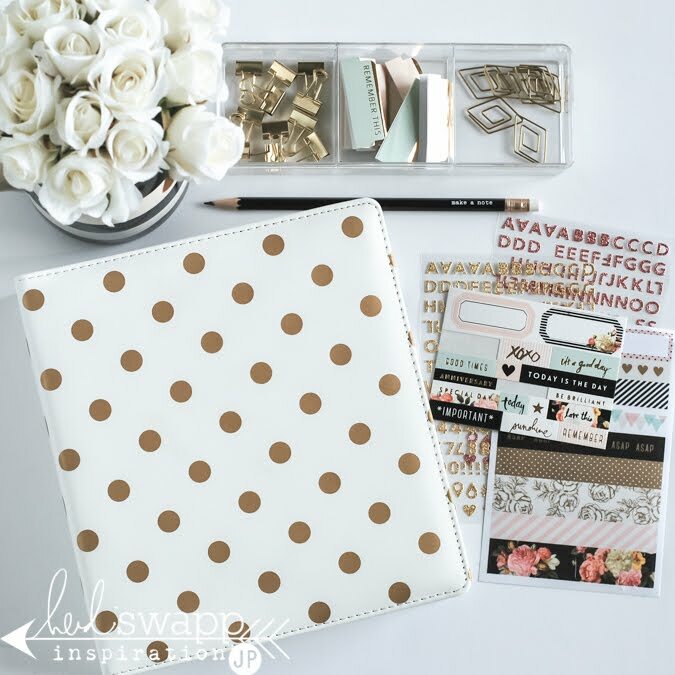 There are 2-full size planners that are part of this collection as well as a personal size too. The Memory Planning part for me is a simple telling of my day to day. The 'one little things'. 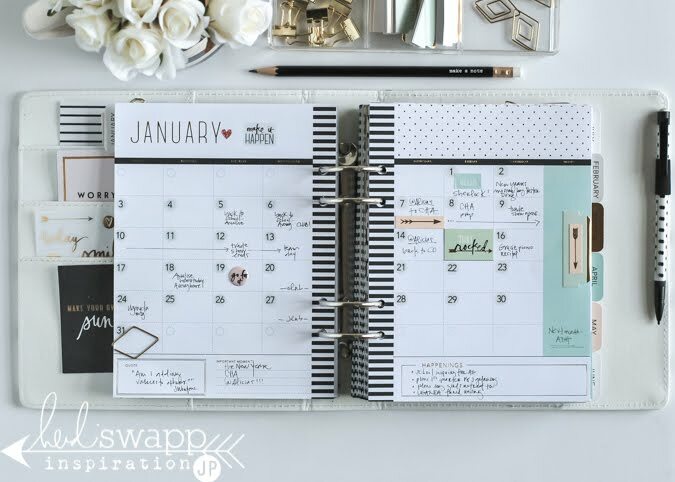 I am changing things up just a tad, and this year the large planner will have more emphasis on the daily happenings rather than the future plannings. 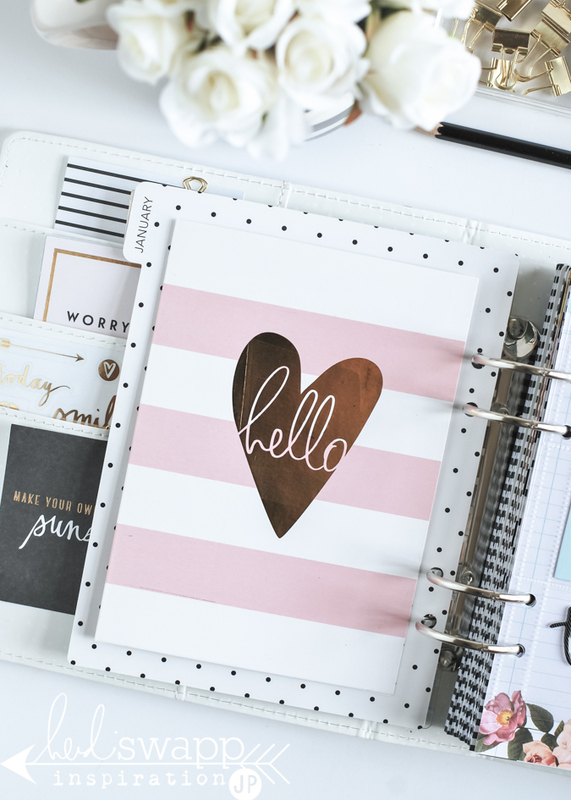 Today's post is going to share an introduction to this years planner and some things I have added to it already. Hoping you too will find some inspiration to write down your daily life in such a beautiful way. This year I am going to be better about keeping supplies handy. The pockets inside the front cover provide ample room to do just that. I have placed in here the 2x2 and 3x3 cards. Some clear stickers as well as cardstock stickers. And the number/date stickers. I still have plenty of room to add letters or notes or whatever else needs to be available to me. This may seem like a simple idea, and it is. One just needs to remember to actually utilize it. Another idea that I will be more consistent about is tying my word of the year with the words and journaling found in the binder. My word is GROW. But purpose is a large part of that word. 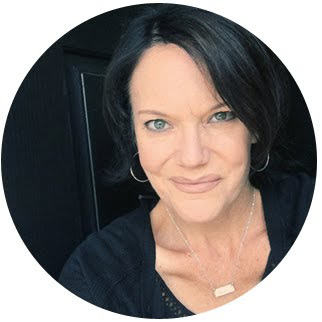 I want to be better about keeping what I have read and thought about in a visual way. This is a renewed commitment to this memory keeping format. Right inside the calendar tab page I placed a Minc card. Inside here I have started adding some specific goals I want to accomplish this year. I am not a resolutions girl. I never really learned how to make those happen. But I do have some goals that came to my mind the end of last year with some very doable steps to make these victories in my life. I am glad for a dedicated space to document them. The right side holds one of the pocket protectors made up of 2x2-inch pockets. 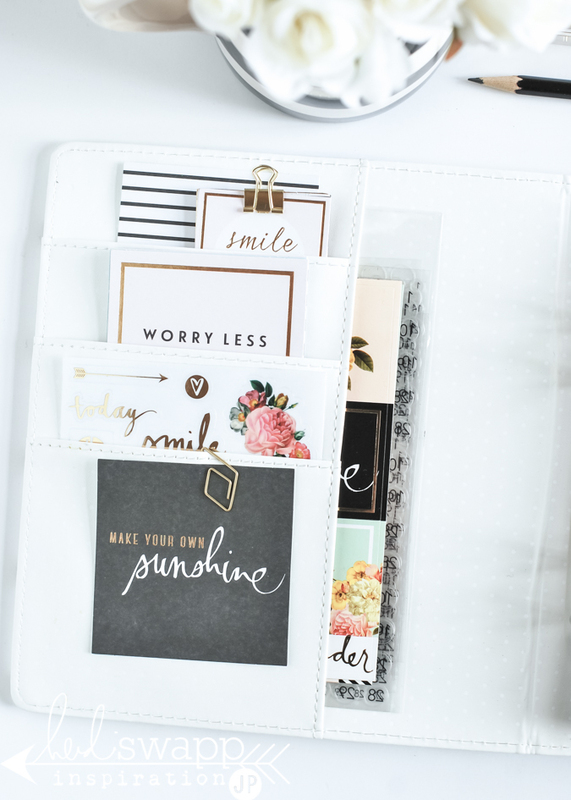 Such a fun size for photos, quotes, puffy stickers, confetti. Anything to make it pretty, is what I am thinking. Last year I kept a 'one little thing' log for every day of the year. 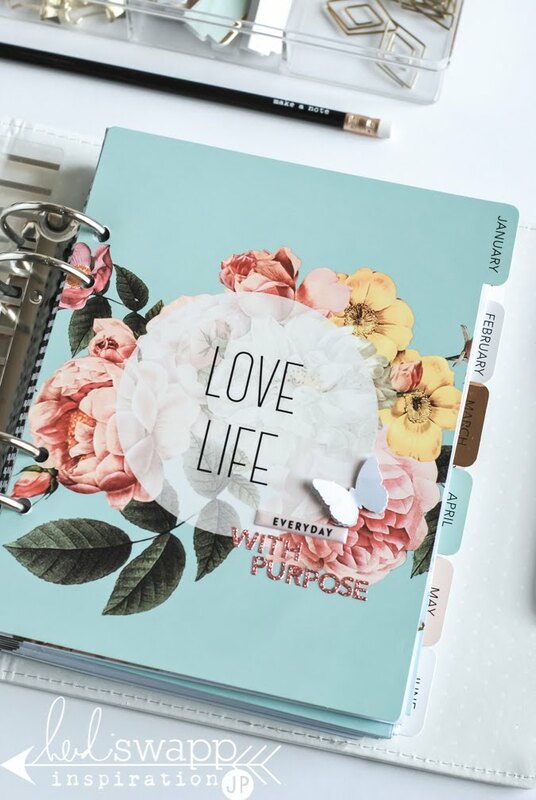 I diy'd one for this planner by trimming down the Hello Gorgeous Journal Pad sheet, punching holes, and then adding my own daily 'thing'. A file tab is used to make it easier to open. And then a clear sticker that says: 'Took A Moment To Notice'. Because that is all that is required. Just a moment to write down the small thing that makes up all the big things. The calendar pages I still use to plot out what is to happen in a month. But I don't include the things like dr appointments, ortho visits for the kids, or when a bill is due. These pages hold the highlights of the month. The thing I am looking forward to. Or even, if a situation has passed, I may go back and fill it in. But this is a fun and creative and thankful zone. Not the everyday necessaries. Because the year began on a Friday, it provided a whole side that was going to be unused. So I covered that left side with a sheet of the Journal Pad paper. On it is a sort of 'what I learned in 2015'. It was a great creative exercise to jot down some thoughts that summed up last year. It's needful to reflect and be aware of where we have come from so we can adjust for where we are going. This gold-foiled beauty is from the 3x3 Card Set. It just so happens to be a daily mantra of mine right now. So much on my plate currently, that really, the only way it's going to all get accomplished is if I indeed hustle. 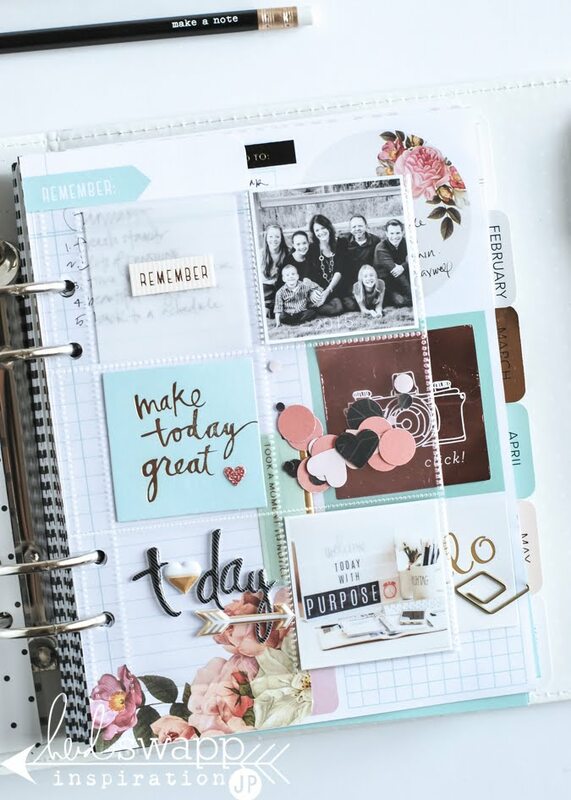 The Memory Planner is available at online vendors already. As well it should be setting at Michaels stores perhaps close to you. 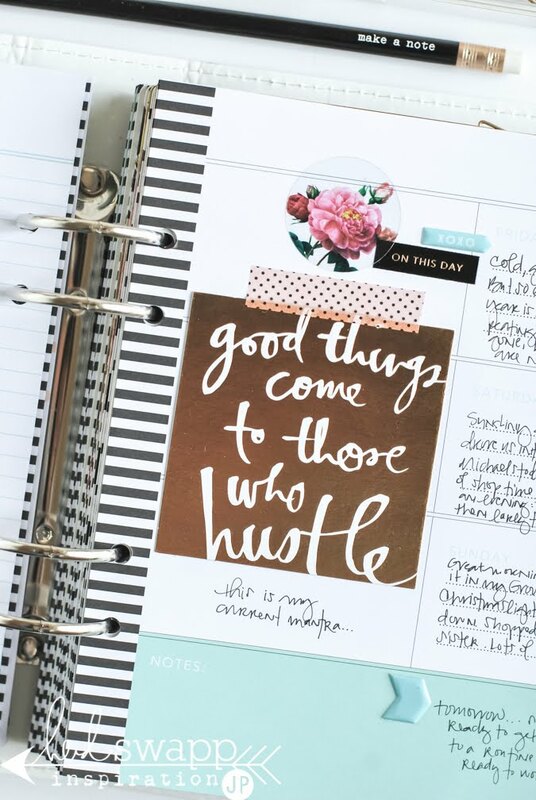 Here is to a fabulous New Year full of hustle and purpose. Blessings. This is so inspiring! 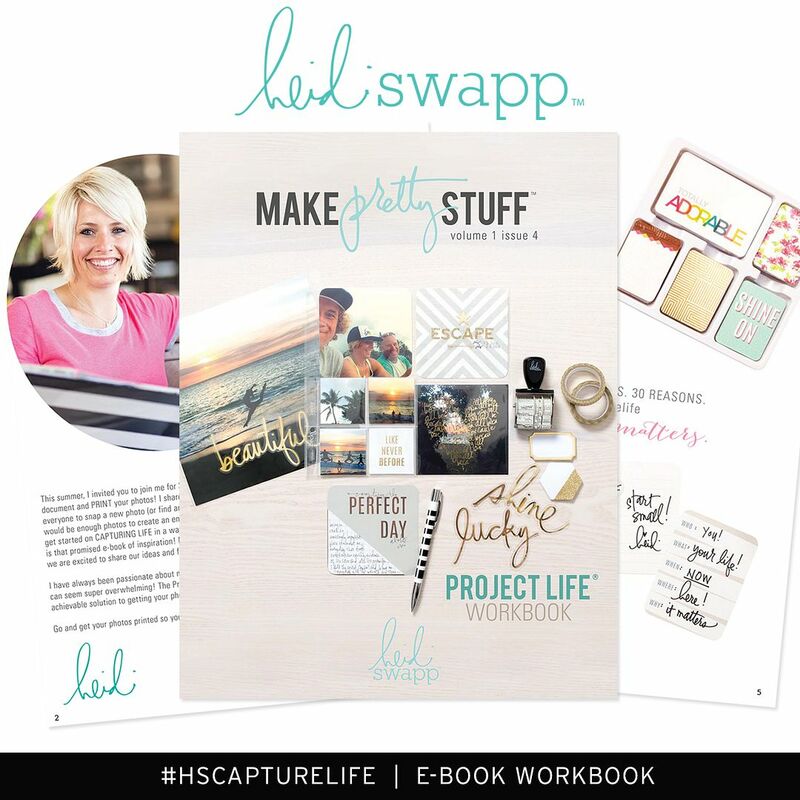 I just found your blog last night, and have read all your entries on the Heidi Swapp memory planners. I picked up the gold dot one last week and haven't jumped in yet because I wasn't sure where to start, but now I'm feeling ready to go! 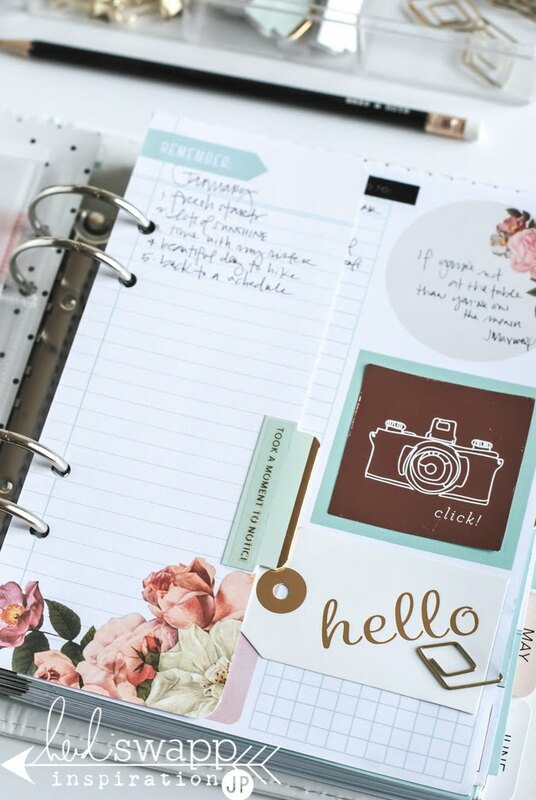 I wish I had the time and patience to make my memory planner this pretty! I started using mine as a memory keeper but my life isn't interesting enough everyday for me to do that..siighhh. I love how beautiful you make yours look! 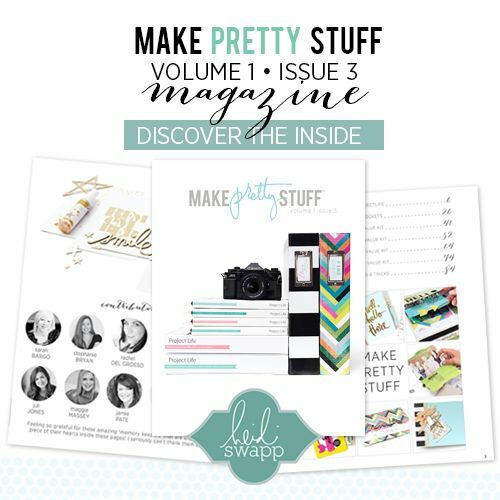 What a beautiful article and layouts!